1. Liven up your meals. One of the secrets to cooking healthy, tasty meals is to use fresh herbs. A boring lentil dish can be transformed with fresh curry and cilantro leaves. Try growing edible flowers to add to your salads and side dishes. 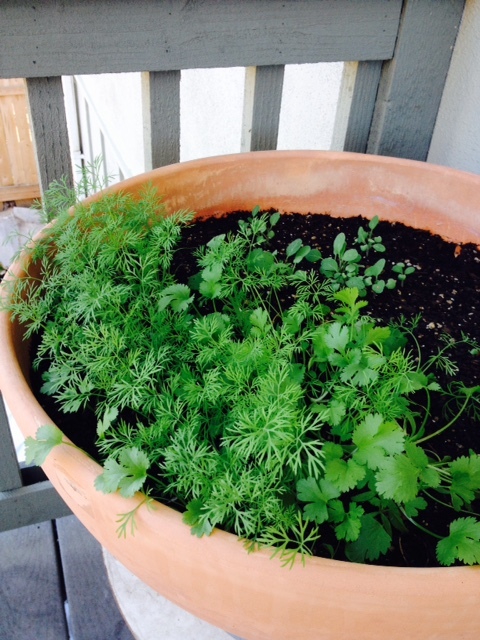 Parsley, cilantro, and sage popping up on the porch, growing stronger everyday. 1. Save Money. Herbs brought from the store range from $3-5 or more. Sometimes it can be difficult to use all of your purchase before it starts decomposing in your fridge. By growing your own you can snip off what you need while the plant continues to grow. Seeds are inexpensive. You can save even more money by saving the seeds of your plants. 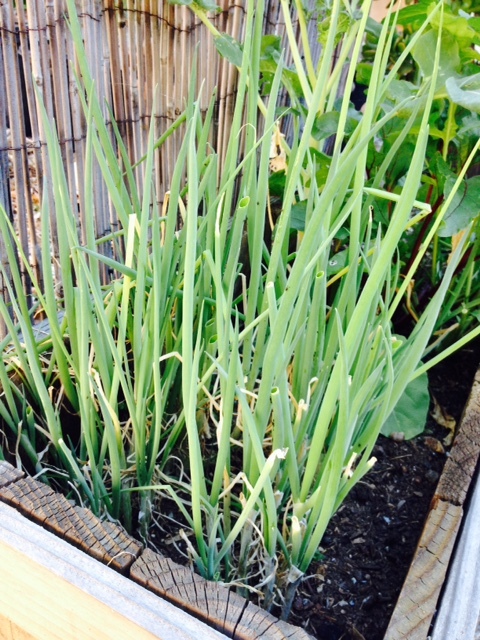 These green onions are looking a little ragged, but they’re still doing great, after planting them about 10 weeks ago. EVERYTHING tastes better with green onion! 3. Involve the kids. Children are fascinated with nature, you can get them interested in cooking and eating well by letting them help pick or snip herbs. Ideally, plant your herbs in a sunny window or outside near the kitchen to make it easy to get to them. Your kids will love helping in this way. 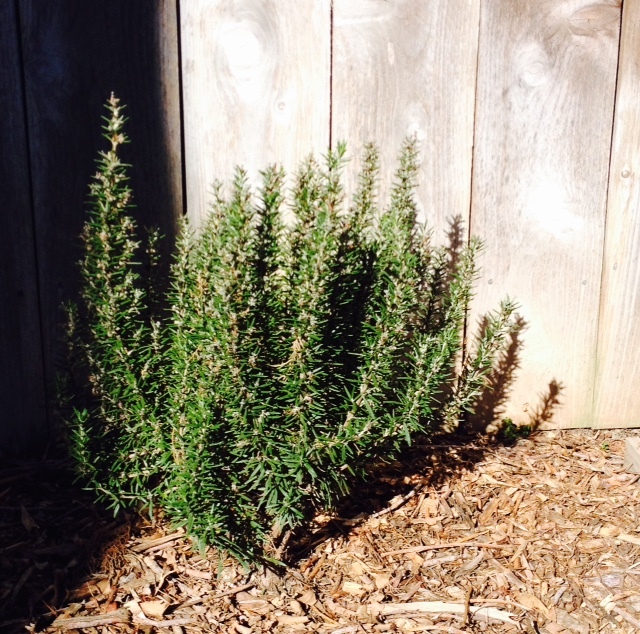 Our little rosemary bush. Bonus: it’s pretty drought tolerant! 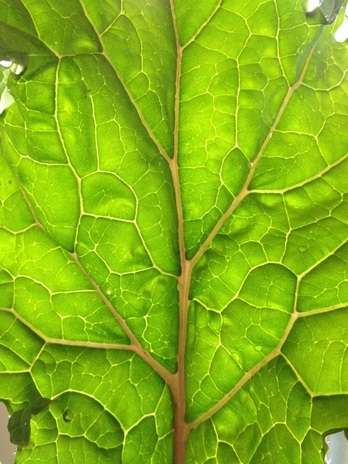 Try growing your own this Spring!